Included in your program fee are a range of activities which will take you outside Berlin and deepen your social, historical and cultural understanding of Germany. Each semester includes a mandatory week-long excursion to different European destinations. All of these feature visits to multiple cities, museums, sites of political or historical importance. They are a great way to travel around Europe with fellow students and offer a broader understanding of Europe in general. Spring 2019 offers choices between Munich and Vienna, Nuremberg and Prague, Hamburg and Copenhagen. Munich and Vienna: trip usually includes visit of Neuschwanstein palace and Hofburg (main palace in Vienna), day trip to Bratislava (Slovakia), walking tours. Nuremberg and Prague: Visits to Germanic National Museum, to the court room for the Nuremberg trials, Nazi Party rally grounds in Nuremberg, in Prague there are group visits of the Jewish quarter, the castle complex overlooking the city and an evening boat tour including a Jazz concert. Hamburg and Copenhagen: boat tour in both cities, museum visits and walking tours, and a day trip in Denmark to different castles (including Kronborg, the Hamlet castle) and another to Roskilde and the Viking ship museum. 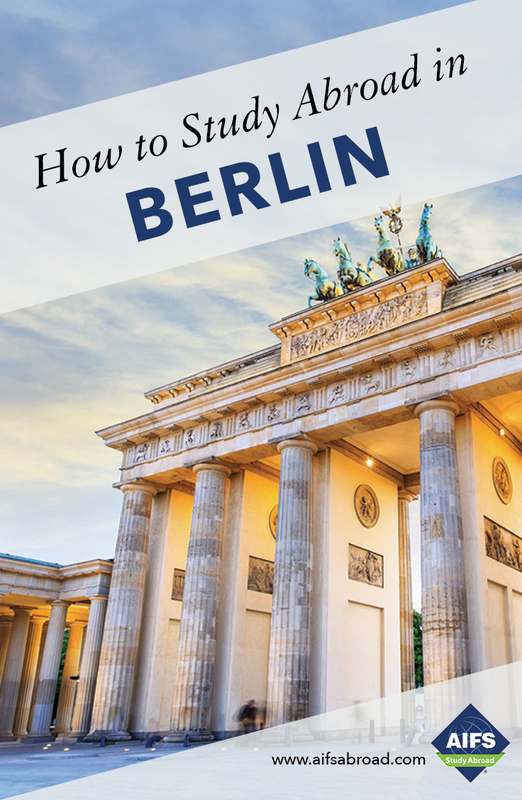 Includes all transportation, accommodation on a bed and breakfast basis, entrances to sites included on the itinerary, city tours with professional guides and accompanying FU Berlin representatives. Itineraries above are examples and subject to change. Potsdam is one of Europe’s most impressive royal capitals and visitors are drawn to the many palaces, parks and landscaped gardens that led to the city being awarded UNESCO World Cultural Heritage status. Once a garrison town, Potsdam survived WWII relatively unscathed and was chosen by the Allies as the location for the 1945 Treaty of Potsdam which laid the ground work for the demilitarization, reparation and reconstruction of Germany after the war had ended. The city center itself has a vibrant mixture of restaurants, cafés and bars which together with the stunning architecture and green spaces make it well worth a visit. Includes transportation, entrances as indicated on the itinerary and professionally guided tour. Dresden (which is listed as a UNESCO World Heritage site) is a well-known and picturesque city, situated near the Czech border in a valley on the River Elbe. Famous sights in the old city include the opera house “Semperoper” and the reconstructed church “Frauenkirche”. With its numerous bars and cafés, the city attracts many students from all over Germany. Art and military history can be experienced at the Painting Gallery and the German Military History Museum respectively. In 2020, the Striezelmarkt will be taking place for the 585th time, making it one of the oldest German Christmas market. There are 10 other Christmas markets to discover in the city. Includes transportation and entrance to museum of choice. Szczecin, Poland is a harbor town to the very West of the country. Heavily damaged during World War II many of the city’s buildings had to undergo reconstruction. One of them is the castle of the Pomeranian Dukes, which sits atop a hill overlooking the city and the Oder river. Students spend a weekend in Szczecin, taking a tour of the town and visiting a museum of their choice. Includes travel, sightseeing walking tour, entrance as indicated in the itinerary and accommodation on a bed and breakfast basis. Erfurt is located at the heart of Germany with a mostly intact medieval town center, a fortress upon the hill overlooking the city and a rich history. Martin Luther became a monk in this city and his monastery remains open to visitors. The Krämerbrücke, merchant bridge, is the only bridge north of the Alps with inhabited, half-timbered houses, almost the same since 1486. You are staying in Erfurt on Saturday, and have time to explore further after a short walk around the town. The next morning, take a short train ride to Weimar, home of the Bauhaus, Weimar Republic, and to German poets Schiller and Goethe and musicians Liszt and Bach. After a visit to the UNESCO World Heritage Duchess-Anna-Amalia-Library you are free to see the gardens, the house Goethe lived in until he died in 1832 or the palace and painting gallery. Constructed in 1936, Sachsenhausen Concentration Camp became a “model camp” in the concentration camp system. The SS administration center for all concentration camps was also located here. Until 1945, more than 200,000 people from all over Europe were imprisoned in Sachsenhausen; tens of thousands died from hunger, sickness, forced labor and abuse, or were victims of systematic extermination. More than 3,000 prisoners who remained in the camp were freed on the 22nd and 23rd of April, 1945 by Soviet and Polish soldiers. The camp was used from 1945 to 1950 as a Soviet Special Camp. 60,000 people were imprisoned in these barracks by the Soviet Secret Service; around 12,000 of them died of hunger and sickness. In 1961, the Sachsenhausen Memorial Site was opened. There is a permanent exhibition covering diverse aspects of the historical location: Jewish Prisoners, The Prisoners “Daily Life”, Medical Care and Crimes, Murder and Mass Murder, Inspectorate of Concentration Camps, Soviet Special Camp. The German Chancellery encompasses the executive office of the Chancellor, the head of the German federal government. The primary function of the officials working there is to assist the Chancellor in coordinating the activities of the Federal Government. Bundeskanzleramt is also the name of the building that houses the personal offices of the Chancellor and the Chancellery staff. Between 1951 and 1989, East Germany's Stasi (secret police) used this site in Hohenschönhausen as a pre-trial detention center/prison. Holding mainly political prisoners, it was infamous for its regime of physical and psychological torture meted out to inmates. Following the fall of the Communist regime and the disbanding of the Stasi, the prison was converted into a memorial museum. The prison was originally established in 1945 by the Soviet NKVD, the forerunner to the KGB, as an internment camp. This camp was closed in October 1946 but the basement of the central building was converted into cells and served as the main detention and interrogation center for dissidents and others considered undesirable by the regime. It was taken over by the East German Stasi in 1951. Following the construction of the Berlin Wall, many individuals whose escape attempts had failed were held here. Quedlinburg is a UNESCO world heritage site and features over 1400 half-timbered houses from the 1300s to the 1800s. Overlooking the town stands the Romanesque collegiate church of St Servatius, consecrated 1021. It is the burial ground of Germany’s first king, Henry I and his wife, Queen Mathilde. Visit the town in the Harz region on a day trip from Berlin, take a walking tour and then explore the castle and collegiate church in the afternoon. Includes transportation, entrances as indicated on the itinerary and guided tour. Begin your semester with a 2-night visit to London en-route to Berlin. This will allow you to relax, recover from jet lag and get to know your fellow classmates while touring England’s capital.